Blackout provides a rare opportunity to explore the potential of our minds. With sensory limitations placed upon artists and audience, cutting edge musicians play anonymously and are never revealed in the pitch black… leaving the crowd to personally explore the sensory interplay between their imagination and the music. 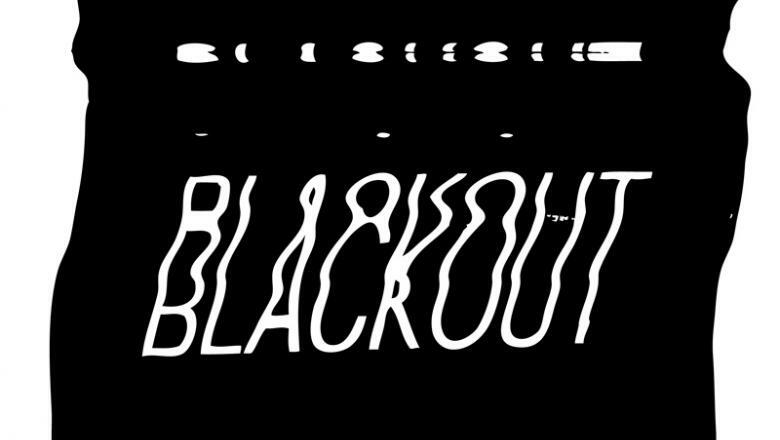 A unique sensory experience, Blackout forces you to tune your ears into the small details of what ís being played with no visuals to aid you, while the anonymity of the band allows a free reign of expression. The result is an often bespoke performance, which you will never hear again. Blackout intends to create an environment where total immersion occurs even before any content is introduced, in effect bypassing the first point of call for most art. It is our aim to facilitate a forum for discovery, trying to make sense of & further our personal and collective knowledge and deepen our understanding of ourselves. The art is in not only the personal experiences but the form it creates for conversation afterwards, with the lack of sight the audiences imagination informs the shape of the piece so that it becomes a personal and intimate moment, making peoples sensory system a central part of the piece itself. In response to the spirit of WEYA we are showcasing two artists from different sides of the world. One an act who use music and sound as a way of telling a story of their people over 100 years of political and social change. The identity of the musicians will be revealed after the show during a short Q&A session with the audience, revealing what motivates them as artists. Following the experience we will be joined by Marco Colasso. Marco Colasso sound artist from Uruguay, having completed two degrees in his field from the Universities of Chile and Uruguay. He has worked as assistant professor of multimedia techniques in the arts at the Diego Portales University in Chile; studio and live recording engineer; music and audio post-production on short-films; and is currently working at the Centre for Research in Audio Technology at Pontificia Universidad Católica de Chile, whilst also developing his personal project ‘QUAD’. His work ‘Because’, inspired by the lyrics and structure in the song of the same name by The Beatles, is an electronic audio-visual installation originally founded between Colasso and his three friends from Chile, Costa Rica, and Ecuador. Exploring the dimensions between music, soundscapes, spatial passages and digital visualisations, the group were invited to perform at the Tsonami Festival of Sound Art in Valparaiso, alongside established artists like Nick Collins. The performer of ‘Because’ improvises within a space equipped with sensors and digital instruments, free-styling an idea with the use of music, movement, and projected images. The work is an exploration of the frequencies connecting the world and its inhabitants, and the relationships that occur between them. Separated into four parts or variable length and balance, each section relates to an element: earth, fire, water and air. ‘Because’ uses DIY instruments and extemporisation from the human to reflect the rhythms of life.